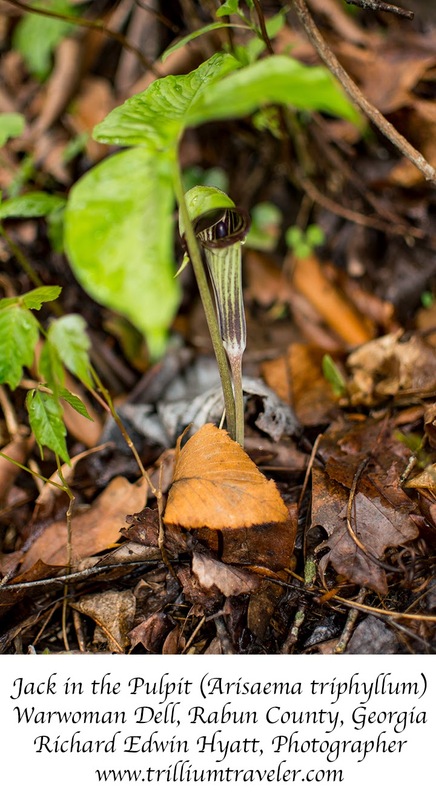 A member of the Araceae or Arum Family, Jack in the Pulpit isn't a Trillium. Similar to trilliums it is a three leaved plant that usually grows where trillium grow. Today I found several at Warwoman Dell. Favorite Wildflower Spot - Trashed!